oracle $ emcli create_service_template -name="EMPTY_SCHEMA_SERVICE_TEMPLATE" -service_family="DBAAS" -service_type="SCHEMA" -pool_target_type="schaas_pool" -software_pools="SCHEMA_POOL" -roles="SSA_USER_ROLE" -description="Schema small instance service template" -input_file="data:schema_service.json"
Validation error(s) occurred. Resolve these and try again. 2015-09-29 19:41:51,428 [EMUI_19_41_49_/console/cli] ERROR handler.SchaasServiceTemplateHandler logp.251 - State flow message : Create at least one workload size in order to complete this service template. 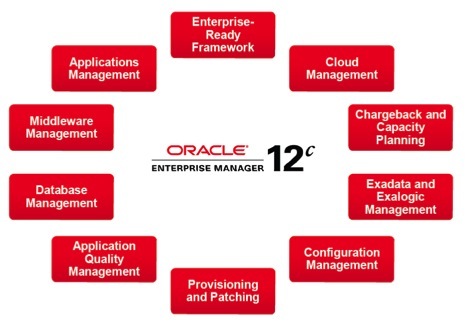 oracle@em12cr5.localdomain [emrep] /home/oracle oracle $ emcli create_service_template -name="EMPTY_SCHEMA_SERVICE_TEMPLATE" -service_family="DBAAS" -service_type="SCHEMA" -pool_target_type="schaas_pool" -software_pools="SCHEMA_POOL" -roles="SSA_USER_ROLE" -description="Schema small instance service template." -input_file="data:schema_service.json" Service Template "EMPTY_SCHEMA_SERVICE_TEMPLATE" created successfully. oracle $ emcli create_service_template -name="EMPTY_SCHEMA_SERVICE_TEMPLATE" -service_family="DBAAS" -service_type="SCHEMA" -pool_target_type="schaas_pool" -software_pools="SCHEMA_POOL" -roles="SSA_USER_ROLE" -description="Schema small instance service template." -input_file="data:schema_service.json"
Service Template "EMPTY_SCHEMA_SERVICE_TEMPLATE" created successfully. Just be aware that you need to create a workload for your service template while creating it.